Optic neuritis is a demyelinating inflammation of the optic nerve. Many times development of optic neuritis precedes development of multiple sclerosis (MS), which is inflammation of the myelin sheath of the brain. More than 75 percent of all females who develop optic neuritis go on to develop MS. Multiple sclerosis, which affects more than 1 million people worldwide, is a dreaded chronic disease because it can cause severe deterioration of the brain and block nerve signals that control muscle coordination, strength, sensation and vision. Multiple sclerosis has been positively associated with hepatitis B vaccine in studies linvestigating the biological mechanism of molecular mimicry. 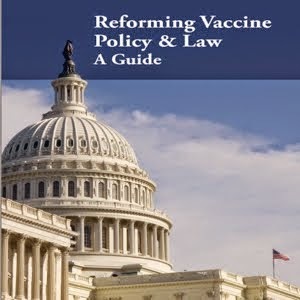 All vaccines have the potential to cause inflammation in the body, particularly brain inflammation leading to permanent brain damage. 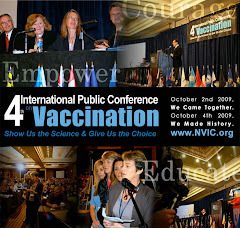 Public health officials and medical doctors promoting forced use of use of hepatitis B, influenza, anthrax and smallpox vaccines in the military and civilian life have a vested interest in denying an association between vaccination and serious chronic diseases, such as MS.
Those determined to deny an association between vaccine induced inflammatory conditions in the body usually like to use retrospective, case controlled "studies" that look at old medical records. Using pencils and calculators to dismiss causal associations between vaccines and chronic diseases is easier than having to look at real live patients or study what happens to their blood, urine, eyes, brain, colons, etc. after vaccination. The pathetic attempts by the pencil pushers to write off onset of brain and immune system dysfunction after vaccination in previously healthy people as just a "coincidence" will not wash. The people, whose lives have been ruined by doctors too proud to admit the harm being done, will not let them get away with it. I hope you see this comment - I found your blog after searching the web for information linking the influenza vaccine to the incidence of optic neuritis. I developed optic neuritis three days after receiving the flu vaccine. I refuse to believe this is purely coincidental. I have become acutely sensitive to the side effects of vaccinations that we are clearly not informed about, and I am increasingly believing we are being mislead about. Thanks for the information you are putting out there. Hi Louise...I am a mother of a 9 year old daughter with type 1 diabetes and hypothyroidism. I have the chronic form of Guillian Barres syndrome, so my it was highly reccommended that my daugther receive her Flu Shot. She was unable to have the flu mist due to the live virus causing a relapse in my condition. Anyway...long story short. She had the vaccine about 2 weeks ago. Shortly after she began complaining of "seeing yellow" out of her right eye. I brought her in to her peds doc yesterday and they found that she has developed red/green color blindness in her right eye. She saw an optometrist this morning and was noted to have significant changes in her vision since her last exam (larger than he has seen in any child). No one seems to know what is wrong at this point. I have been researching and I came across Optic Neuritis. With her autoimmune history and mine I thought this is a high possibility. I am wondering what sort of symptoms you developed. And if you have any advice for me. Thanks in advance. Today new studies have shown that only a 33% percent of people with optic neuritis could develop MS. I was Dx with optic neuritis on January, thankfully I am know fully recovered and my vision is back to normal. However I got the seasonal flu shot for the first time in my life 3 weeks before my eyes started to hurt. My doctor said that I should stay away from future vaccines because it could have been the cause of my illness. So no vaccine for me at all. I have just been in hospital with optic neurisis, 3 weeks after having the trple flu jab in Australia. Awaiting results from my spinal tap. Hoping it is not MS. I will be sending off all paper work to file my childs claim who was diagnosed with ON 2 weeks after receiving the Flu Mist... She never recovered. Finally!!!! I'm a nurse and had my very first flu vaccine in 2005. Only one day after the vaccine I started to have pain in my right eye, which eventually led to 20/400 vision and a loss of color vision. After an MRI and Spinal Tap, I was diagnosed with Optic Neuritis and went through hell!! High doses of IV steroids x 3 days--was pretty sure I would die for a heart attack before it helped. The following year I had my second flu vaccine and had a large localized reaction. With the past medical and all I could not get my doctor to state this was related to flu vaccine--REALLY!! I have not had a flu vaccine since and no further issues. My concern is that the hospital I work for is going to implement a new policy next year--100% of employees will have flu vaccine or won't have a job. More people need to speak up as this is crazy.